^ Fuller RW, Snoddy HD (July 1980). "Comparative effects of p-chloroamphetamine and 1-(p-chlorophenyl)piperazine on 5-hydroxyindole concentration in rat brain". Research Communications in Chemical Pathology and Pharmacology 29 (1): 201–4. ^ Maj J, Lewandowska A (1980). 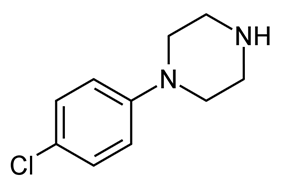 "Central serotoninmimetic action of phenylpiperazines". Polish Journal of Pharmacology and Pharmacy 32 (4): 495–504.